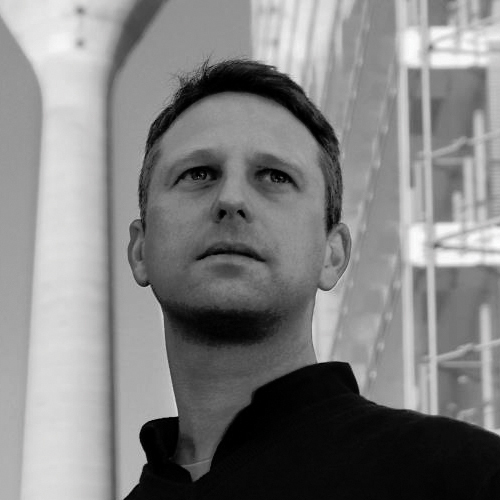 Lars Leonhard was born in 1973 in Hilden (Duesseldorf). In Lars’ early childhood he recognized his passion for music. In the early 90’s he decided to produce his own music. His affinity to electronically music leads him to ambient, dub techno and deep house music. The electro musician Lars Leonhard from Düsseldorf/Germany focuses on suggestive sounds. 15 years ago, he made his first experiences with industrial and easy listening productions. At that time, he established his sound basis for his in 2002 founded punk rockband „Chaos Digital“. Till their breakup in 2006 , the band created catchy songs like „Keine wie Du“ for the local music scene. Furthermore, a “yellow clear” vinyl on the label “DimbiDeep has been released with the title „Lars Leonhard / Shebuzzz / Supererde / Grasses Of The Past”. Additionally, innumerable tracks on several labels have been released. Major part of those are digital releases are available in major Music stores. The year 2013 has been a milestone in Lars career. The American space agency NASA spotted Lars on YouTube and engaged him on a long-term basis. Several scientific videos what are observed and recorded by satellites were highlighted in music by Lars Leonhard. Two videos of that amazing cooperation of both parties can be watched on YouTube.